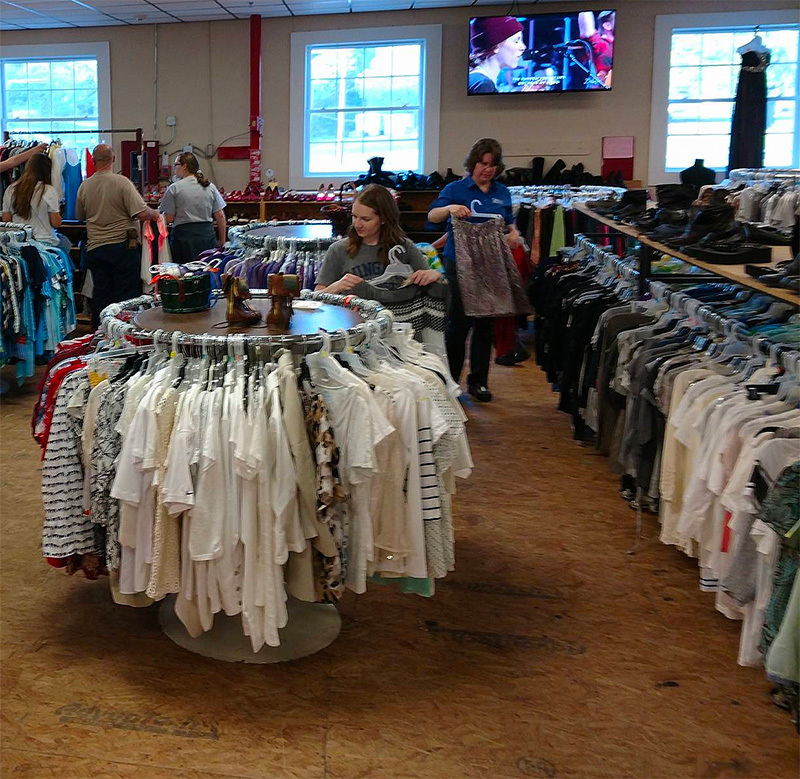 Our large Thrift Store is also used as our “Clothing Closet.” Clients needing help with clothing meet with our crisis team to assess needs and clothing is then distributed from our regular clothing stock. Recipients are allowed to shop, select, and try on what they may need for clothing. We also work with several ministries to help with clothing for the people they are assisting as well including addiction recovery ministries, crisis pregnancy centers, and ministries working with felons or high risk teens. We also have provided household items for domestic violence relocations and other instances where folks have had fires, floods, or other disasters where furniture and household goods could have been left behind or destroyed.